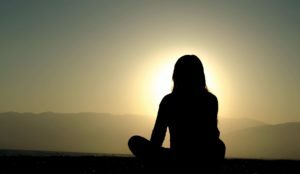 Are you a mindfulness teacher? Or a yoga teacher, looking to incorporate mindfulness into your meditation teaching? Do you find teaching a little isolating? Would you like to be a member of a small community of like-minded mindfulness and meditation teachers? The group would consist of a maximum of 8 teachers. Monthly for one and a half hours. Dates and times will be planned before commencement, recordings will be available for sessions you are not able to attend. To express interest in joining this group, let me know below the days and times, you would be available to join a group. Each month a different teacher will be invited to lead a group meditation. To cover facilitating and administration costs, for the first year, a fee of £10 each per month will be requested to be paid at the start of each year. My name is Candice Sunney, I have a Masters in Applied Positive Psychology and I am a qualified Mindfulness teacher, teaching community learning courses. My area of research interest is in the use of Mindfulness during pregnancy and early parenthood. If you are interested in joining this group, please sending me your contact details and let me know your preferred day and time.